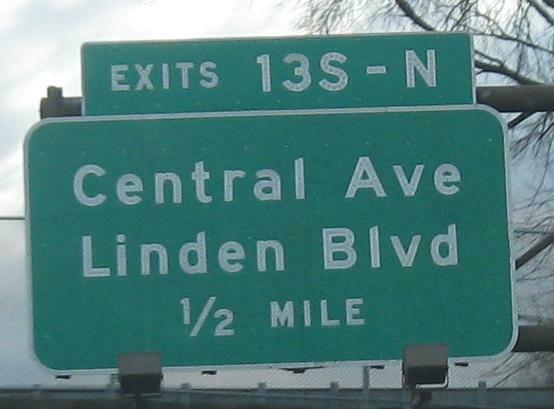 EB on Southern State Pkwy. 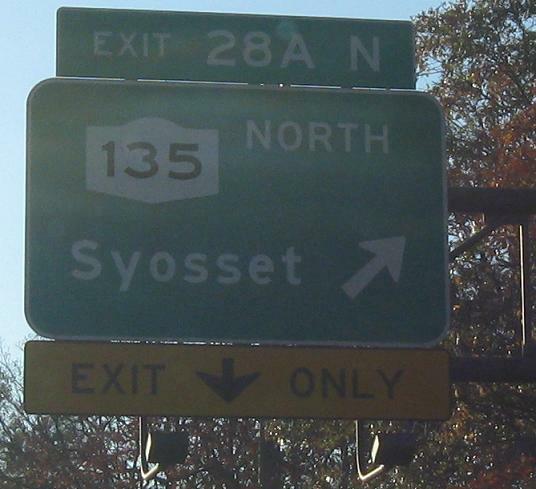 leaving the Belt and Cross Island Parkways, coming up to the Elmont Rd. overpass. Why do the exits start at 13? 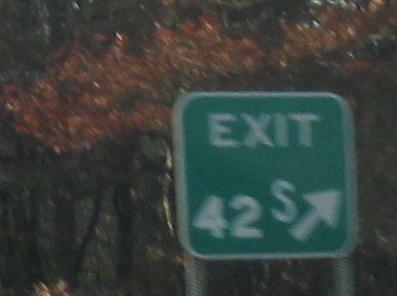 Why is this the only button copy sign on the entire highway? I demand answers. Andrew Stafutti responded to my first demand, explaining that Exits 1-12 had been on the Cross Island Parkway north to the Whitestone Bridge, but then in the 1960s when the Belt Parkway system was completed, the Cross Island was renumbered to be a part of it (if you look at a map, it completes as much of a belt as possible around Brooklyn and Queens). For whatever reason, the Southern State wasn't renumbered up to 26 (to continue the numbering from the Belt) or down to 1. As for my second question, I don't think answers will be forthcoming. Two clear WB examples of modifications to original equipment. In the first photo, at Exit 32, the WB overpass is wide enough for four lanes, while the EB overpass is only wide enough for three lanes. My analysis is that the original four-lane parkway used the WB overpass and the EB one was built later, but it's possible that the WB side was simply modified more recently to carry an extra lane to the exit. In the second photo, of course the Exit Only panel was added later, but it should not have had an arrow, or else the sign above it should not. 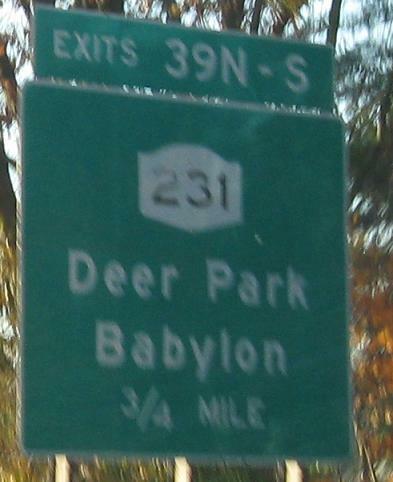 Also WB, with the first photo on Heckscher State Pkwy. (effectively an extension of the Southern, starting at Sagtikos Parkway). A lot of the gore signs in this area have the auxiliary letters raised above the exit numbers, as if all of the signs had been ordered without them. Only a couple of new-looking signs have new-looking shields with old-looking numbers. Also WB on Heckscher State Parkway, my favorite overpass style on Long Island, used on both parkways and expressways.